Menara Bangkok Bank @ Berjaya Central Park is the latest FREEHOLD office building project in KL Golden Triangle available for strata sale. Located at the junction of two KL City main artery road, Jalan Ampang and Jalan Sultan Ismail, the office building is strategically located in the heart of Kuala Lumpur. Directly linked to the Bukit Nanas Monorail station & within walking distance to Dang Wangi LRT station, the building enjoys superb public transport connectivity. The project is anchored by Bangkok Bank and another insurance company, each of them taking up about 10 floors of the office building. State-of-the-art security features with Turnstile Security Access, 24-hours CCTV surveillance. Each unit has its own En-suite Executive Bathroom with Shower for convenience and privacy. High Efficiency Lifts with Floor Destination Control System. All spaces are 2.9m-high, floor-to-ceiling for comfort, efficient airflow and ventilation. Size flexibility: Spaces ranging from 775 sq.ft. to fully private lift lobby of 5,000 sq.ft. Fiber Optics for high speed internet access. 4+Mezzanine Parking Floors and 3 Basement Floors with carbon monoxide level monitoring system. 38 floors of Suites, Commercial, Cafeteria and F&B Outlets. Eco-friendly Building Management System for monitoring and maximizing power and utilities usage. Intelligent Air-Conditioning incorporating Variable Refrigerant Volume (VRV) System.. Carbon Dioxide Level monitoring on all floors. Size available from smallest 775sf to a full floor (total 7 units) of approximately 12,000sf. Expected completion on early 2015. The office space now available for sale in strata. 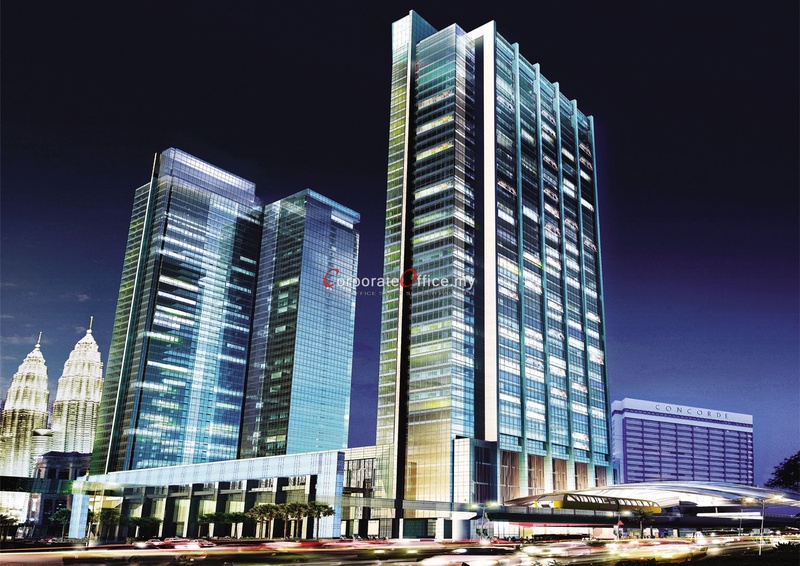 The only opportunity to own a prime office space in the sought after KLCC area. Contact us now to get more information at +6014-6262 623 or email us @ info@corporateoffice.my. 374 Jalan Tun Razak, KL Golen Triangle, Kuala Lumpur, Wilayah Persekutuan, 50400, Malaysia. No.1 Jalan 1/68 off Jalan Tun Razak, KL Golen Triangle, Kuala Lumpur, Wilayah Persekutuan, 50400, Malaysia. No. 76, Jalan Raja Chulan, KL Golden Triangle, Kuala Lumpur, Wilayah Persekutuan, 50200, Malaysia. Total Floors: A 26-storey corporate office tower with 6-levels of podium retail outlet.